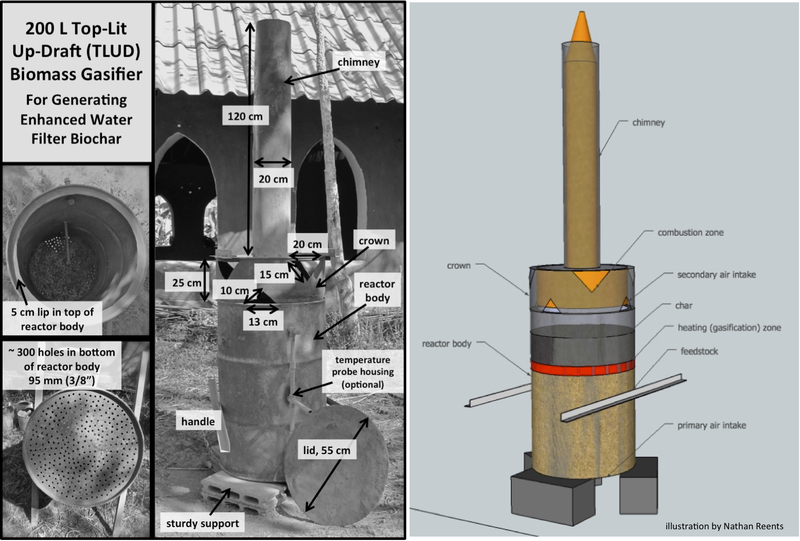 Fabricating a 200 L Biomass Gasifier for Making Enhanced Water Filter Biochar: The basics of biomass gasification: a low-cost, user-friendly and environmentally sustainable method for making good water filter char from agricultural and forestry residues. Open access handbook available from Aqueous Solutions, www.aqsolutions.org. ie. SketchUp files, CAD drawings, photos, video, technical drawings.